New cooperative education program at Portland State University benefits students, local businesses. 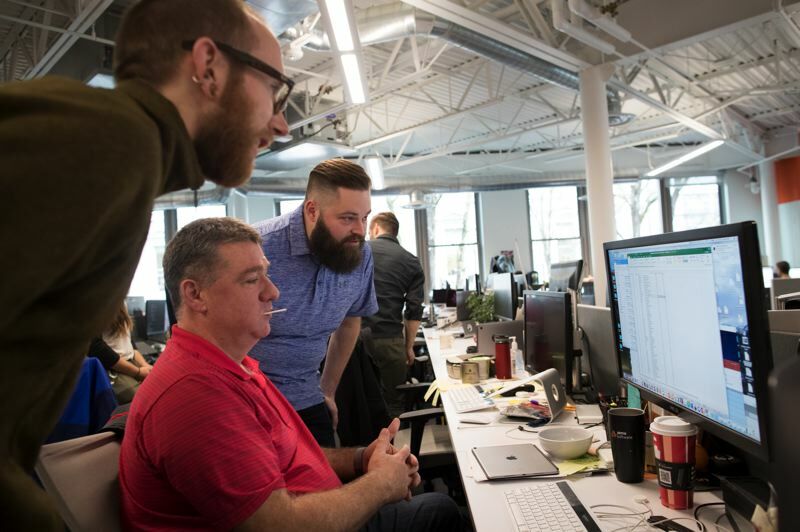 When Scott Roth joined Jama Software as CEO in 2016, the company already was regularly providing opportunities for engineering and computer science students at Portland State University to gain real-world work experience. Roth immediately recognized the arrangement gave Jama a head start when it came to connecting with potential employees. He wished he could tap similar opportunities for marketing, graphic design and human resource positions in the company. So, when Roth learned that PSU was creating a university-wide cooperative education program, he signed Jama up as one of 20 companies participating in a pilot program that kicked off this month. Co-op programs are common at universities in the northeastern part of the country, according to Cliff Allen, dean of PSU's School of Business. In fact, some of those schools make them a requirement for students as part of their regular curriculum. The new PSU program follows an approach already used by the university for its Cooperative Education System and Multiple Engineering Cooperative programs. Those programs offer students a chance to work for companies on projects that align with their fields of study, earning money while they learn. While the programs have only been available to students in certain majors, the new co-op program will take a more encompassing approach. "We're doing it for the entire university: math, education, all business — and we're looking to add psychology, geography, information systems," he said. 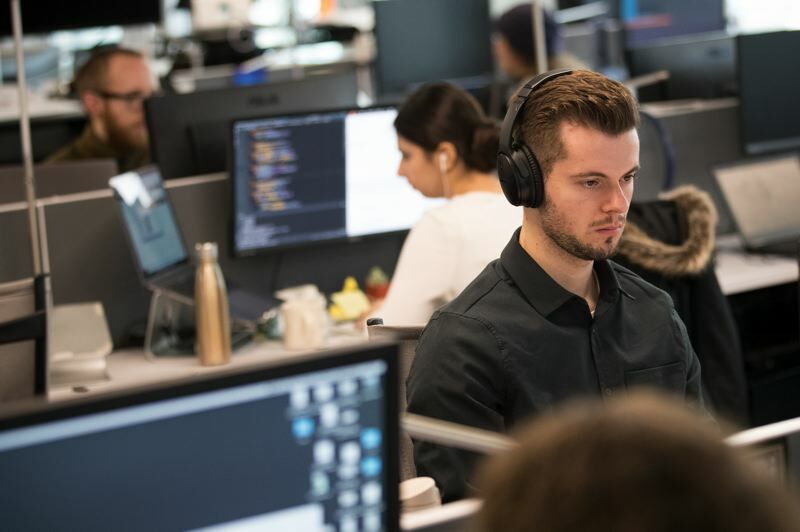 According to Allen, while regular internship programs offer students a chance to earn credits while working for a company, they sometimes have drawbacks. "Internships are great, but they're usually not closely defined," he said. "They can be helpful, but they can also be in clerical [in nature] or not in a [student's] field of study." Cooperative education programs not only include parameters that ensure jobs offer experience that augments — and enhances — a student's area of study, they go a step further in the benefits they offer to participating companies and students. PSU's program, for example, requires participating companies to create actual positions, with associated job descriptions. Those positions must pay at least $15 an hour. The program also includes check-up meetings with students to make sure the work they're doing is providing experience that dovetails with their chosen majors. For companies, participating in the co-op offers a chance to test the waters to see if a student might be a possible permanent employee down the road. In addition, students maintain their health benefits through the university, which frees up the company from having to cover the cost of health care, Allen said. Jama CEO Roth found another component of the co-op program to be a big draw. The co-op positions can be structured for either a six-month full-time run or a 12-month part-time commitment. "I like that flexibility," Roth said. "It's great for our business to have that option, but it also makes it more accessible to students who have to work other jobs while they're going to school." 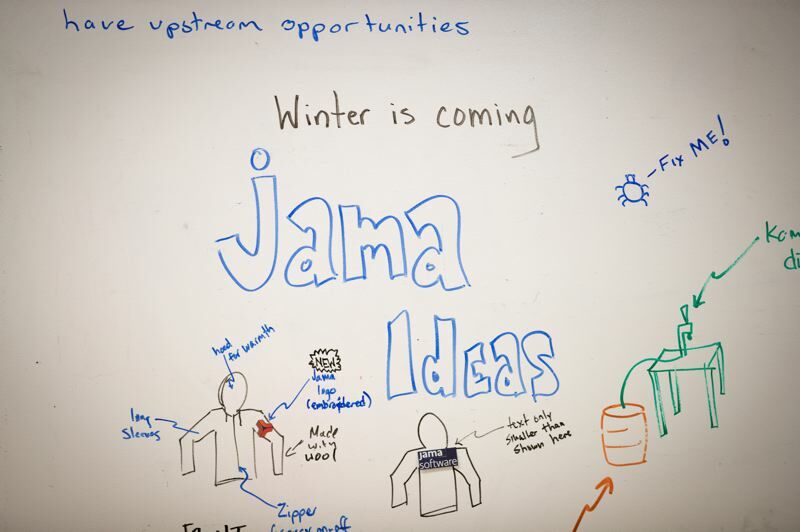 For the pilot program, Jama chose the 12-month plan. 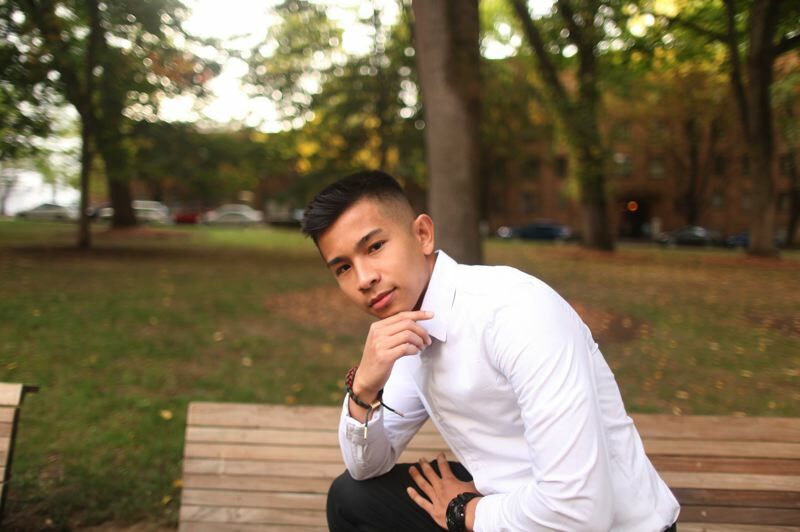 Sokong Seng, the student Jama hired as a marketing operations coordinator, will work 20 hours a week in addition to tackling his regular course load. Students who work for companies that select the shorter, six-month option will set aside their coursework during that time, which means they'll push back their graduation dates. But to Allen the value of spending half of a year gaining hands on experience is worth adding that extra time to receiving a diploma. The co-op program requires that participating companies treat students as much like actual employees as possible. That's always been the standard approach at Jama, and it's one reason Roth thinks the company has been a popular landing spot for students. "When you're an intern with Jama, we treat you like a regular-time employee," Roth said. That means co-op and internship students start with a week-long orientation, followed by weekly check-ins with a director supervisor or manager. They're also given what Roth calls "serious work," assignments that are a part of actual projects rather than just busy work. While Jama's involvement in internship programs is in large part to help students, the company also seeks to derive some benefits. "We've got real work to do; we're not just doing this for fun," Roth said. 'The interns, they appreciate that we're giving them serious work to do." Before Jama became involved in the new co-op program, Roth and his team looked at which department would be a good starting test point, settling on the area of marketing. The team created a specific role and job description for the student position, the same process Jama would use for any other position in the company. The information was then sent to PSU, where it was posted on an online site where students accepted into the program's pilot run could see what jobs were available. While Roth stepped aside and let the head of his marketing team conduct any interviews and select the student for the position, he kept in place a standard practice when any new employee comes on board. He meets with every new employee — including interns — during their first week on the job. "Having a personal connection with all of our employees is really, really important." Roth said. Jama has had positive experiences with PSU's long-running cooperative programs for computer science, math and engineering majors, and Roth said he expects the same will be true with the new CO-OP program. Still, given that the program is in its earlier stages, the company decided to keep it simple for the first round. "We're going to start with one [student]with this program and watch and see how it goes," Roth said. "If it's successful, we'll commit to more going forward." Most of the experience gained by students involved in the PSU co-op program is expected to come from the work they do with participating companies. But at least one student started reaping benefits even before she stepped foot in a workplace. 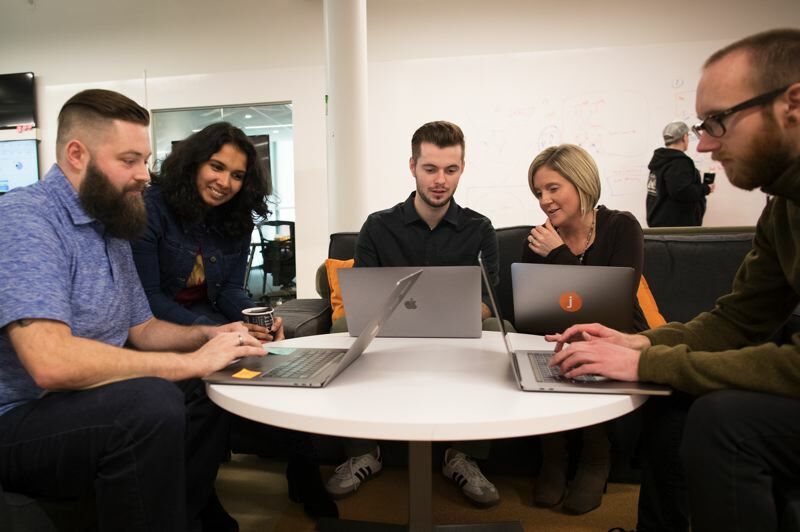 As companies participating in the co-op program submitted job descriptions of positions they needed filled, the information was posted on a website. Students then indicated their interest and companies contacted them directly to set up interviews. Before they headed off to those interviews, though, students were required to take part in a one-credit introductory class. A large portion of the class focused on helping students prepare for interviews with participating companies. The curriculum included information about questions employers commonly ask and tips for researching companies using resources such as LinkedIn, a social media site for professional networking. Students also took part in mock interviews and received guidance in building resumes and writing cover letters. Writing her resume provided an unexpected boost of self-esteem for Andrea Cody, a supply chain management major in her junior year at PSU. Prior to getting involve in the co-op program, she hadn't worked on a resume because she didn't think she had enough industry-relevant experience to include. But she quickly realized how to turn past experience and jobs as resume highlights. A job as a waitress, for example, taught her skills such as prioritizing tasks. That realization — and the resume exercise — gave her a new-found confidence as she moved into the interview phase for a co-op position, something she believes will also benefit her once her participation in the program ends. "[The orientation] was a door for me, a good opportunity to have someone hold your hand to make this happen," Cody said. "Taking those first steps, it doesn't have to be as scary as you think it will be. "Having advocates to be there is a really great gateway," she added. "I feel more confident in applying for more internships." Cody, however, won't have to worry about looking for more internship opportunities for a while though. While she got plenty of interview experience with co-op participants like Tillamook County Creamery Association, Kroger and Blount, a company that makes parts for chainsaws, she ended up accepting a position with Precision Castparts, according to PSU.